There is no feud between Beyoncé and Rihanna, despite a report. A story claimed that Beyoncé tried to upstage Rihanna at the MTV VMA Awards last month. 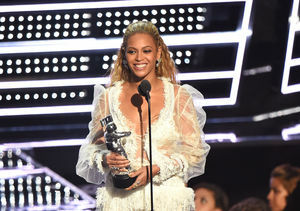 A source said that Queen Bey used her 15-minute performance to outshine RiRi being awarded the Michael Jackson Video Vanguard Award. The supposed insider noted that they are each other’s biggest competition in the industry. It turns out none of it is true!